Gretel: Wow, this is amazing. And, uh, weird. Hansel: It's a little creepy. Gretel: You really keep all this stuff? Ben: I just have SO many questions, do you mind? Gretel: Oh no, no no no, you go ahead. Ben: All right, uh, okay, uh, how do you best kill a witch? Q: What are the differences between the Theatrical Version and the Unrated Extended Cut? Good straight-forward entertainment packed with action. It is a pretty straight-forward action flick. With the short runtime of 1 hour and 28 minutes, you can expect this to move briskly and to be packed with a lot of action. The story: The movie starts with the young Hansel and Gretel losing their parents. They are shortly picked by a witch to be food. They manage to escape and burn the witch alive and that's how they become witch hunter. Cue to the opening credit. The next scene shows them saving an innocent woman whom is accused of being a witch. And from there, the action keeps going. There are some slight twists about the innocent woman and Hansel and Gretel's parents. Other than that, it is purely straight-forward for a good thing. The action scenes are not bad but they are more gritty than fantastical. Music wise is quite alright with Han Zimmer acting as the music supervisor. 3D: It is okay. As many of the scenes take place at night, the 3D effect dampens. It becomes more like harder to see. But when it comes to explosions, blood splatters and action, it is gimmicky with objects flying to your face. Other than that, the 3D is not really recommended unless you have some spare money. Overall: It is not bad for the month of January. 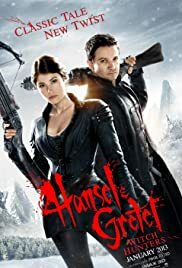 Sure, there is a great potential that the movie never reach but Hansel and Gretel: Witch Hunters won't disappoint if you want a good entertainment packed with action. Next fairy tale movie is Jack the Giant Slayer in Feb.
46 of 82 people found this review helpful. Was this review helpful to you?